There is so much conflicting information out there about what herbs and teas are safe during pregnancy! I wanted to create a few blends that I would be able to feel safe and confident in drinking that would also satisfy my different tea cravings. This blend should have a bit of kick from the decaf black spice tea, and have plenty of soothing honey and fresh notes from the honeybush and spearmint. 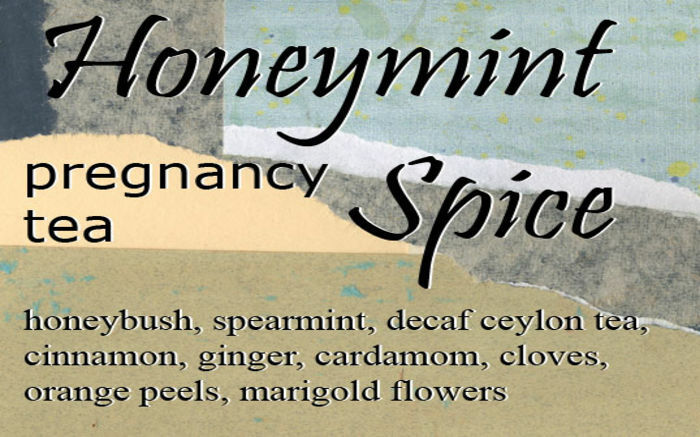 Love Honeymint Spice? This is just one of 5 teas in this fandom. Check out the whole series.